while aiding in mass "harvest" of the American Bison. and clothing) the Indians were lords of the plains. Recognizing this, the authorities encouraged hunting. Harvested hides were taken to market over this road. were salvaged and sold for grocery or seed money. counties to guide the mound; then three miles east (near this marker) and south to Wichita River bridge, then to the county line three miles west of Holliday. 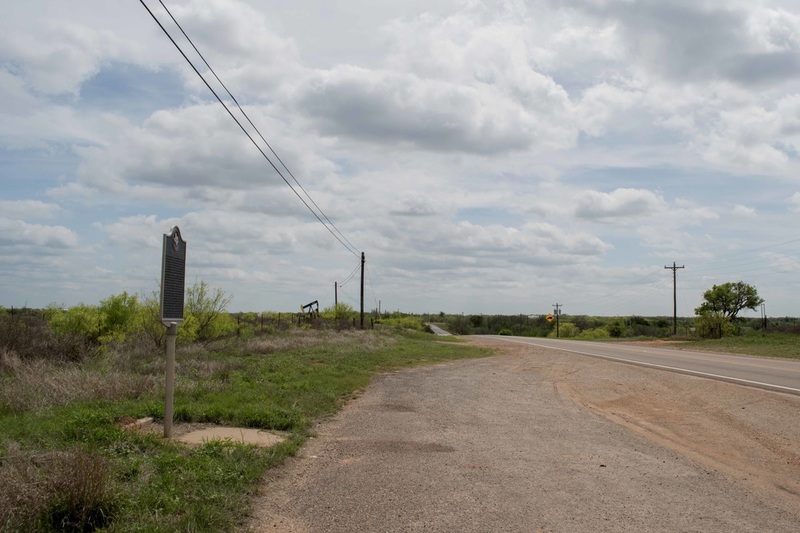 The marker is located on State Highway 25, approximately twelve miles south of Electra. GPS coordinates thanks to Google Earth: 33-degrees 52' 20.18" North, 98-degrees 50' 20.80" West. 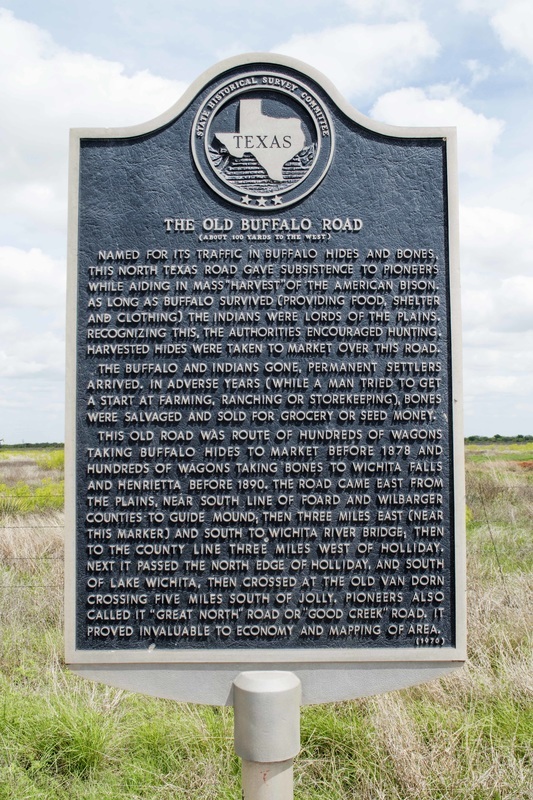 For information about the Old Buffalo Road at the Handbook of Texas Online, click the button below.